Home > Articles >2015 Year-in-Review: Market Turning Point, or Just a Difficult Year? 2015 Year-in-Review: Market Turning Point, or Just a Difficult Year? By the measure of the most-watched market indexes, the stock market provided investors with a seventh straight year of gains in 2015. But it doesn’t take much digging to see the stock market as a whole had a relatively poor year. Eight of Morningstar’s nine U.S. stock fund categories (which SMI condenses to form our stock risk categories 1-4) posted negative returns for the year, with only Large/Growth funds realizing a gain. Perhaps even more jarring, Howard Gold reported on MarketWatch that the top 10 S&P 500 stocks were up 14% while the other 490 were down 5.8%. Market breadth hasn’t been this concentrated among only a handful of winners since the late 1990s. Of course, the most commonly watched indexes (S&P 500, Dow Jones Industrials, even the Wilshire 5000 favored by SMI) are market-cap weighted, meaning that the performance of the largest stocks has an outsized impact on the index returns — and their stronger performance dominates investors’ perceptions. But indexes measuring the performance of smaller stocks, like the Russell 2000 Small-Cap Index (-4.4%) and Mid-Cap Index (-2.4%) reflect the weakness of the broader market in 2015. While JtB was 40% invested in an S&P 500 index fund, which was among the best stock-investment performers last year, JtB’s overall loss of -1.6% shows how tough a year it was for investors owning diversified portfolios. The smaller stocks and foreign allocation included in the JtB portfolio dragged its overall performance from a small gain to a small loss. Stock Upgrading (+0.6%) did better, finishing just a tick behind the market’s overall gain (+0.7), a particularly impressive feat in light of the diversification hurdles it faced in carrying significant allocations to small-stock funds. The risk-category performance detail at right provides further insight. Growth stocks have outperformed value stocks throughout this multi-year bull market. In fact, Barron’s recently reported that by at least one measure, growth’s winning streak vs. value is the longest streak on record going back to 1926. Normally growth passes the leadership baton to value at some point in the bull-market life cycle, especially as stock prices begin to look expensive in relation to earnings. But that hasn’t happened this time, and there are various theories as to why. A couple of the more plausible explanations include the idea that growth stocks become more prized in a lower-growth economic environment, as well as the shorter-term impact of the energy sector’s collapse, which disproportionately has hit value funds. Whatever the causes, the impact was clear last year. 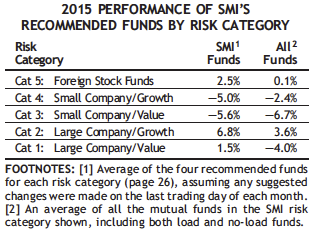 Using Morningstar’s categories illustrates this most clearly: 2015 saw a performance gap of more than 10% between their top-performing category (large-growth funds) and their worst-performing category (small-value). The fact that the large-growth group gained 3.6% while the other eight Morningstar domestic categories were all negative really tells the story of 2015. In light of those factors, we’re encouraged by Stock Upgrading’s performance last year. It’s been several years since Upgrading has won big relative to the market, and that’s frustrating for us old hands who remember when big wins were routine. But holding up as well as Upgrading did in the face of the market’s extremely narrow breadth, when many other actively-managed strategies really struggled, is encouraging. As we write this in early 2016, the average stock is now more than 20% below its 2015 high. In this environment, Stock Upgrading’s resiliency last year brings to mind its ability to limit our losses during the bear market of 2000-2002. Granted, we don’t know if the current decline will turn into an “official” bear market or not. But if it does, Upgrading’s 2015 performance suggests it may be able to cushion the downside a bit better than was the case during the sudden collapse of 2008. Entering 2015, everyone was sure interest rates would rise, and technically they did. But despite finally seeing the first Fed rate hike in nine years, most interest rates ended the year little changed from where they started. The benchmark 10-year Treasury yield began 2015 at 2.17% and ended at 2.27%. The longer 30-year yield started at 2.75% and ended at 3.01%. So while rates did rise, the shifts weren’t dramatic. What was dramatic was the volatility of yields at various points of the year. Last January, the 10-year Treasury dropped from 2.17% all the way to 1.68%, producing big gains for bond investors. Unfortunately, those early gains were quickly given back as yields spiked to 2.50% by early June. The real drama in bonds in 2015 took place in the junk-bond arena. Such bonds are considered to be below the “investment-grade” level because the companies that issue them are riskier bets to make all of their interest payments on time and to pay off the bonds when due. Our Bond Upgrading strategy shifted us into these types of bonds early last summer, and unfortunately that move ended up costing us a bit when the stock-market correction began in early fall. Our overall loss of -2.0% from that one recommendation explains a significant portion of Bond Upgrading’s under-performance for the year, as the strategy wound up with an overall loss of -1.7% vs. the overall bond market’s slight gain of 0.6%. The short, choppy nature of the year’s interest-rate moves made for a tough year in this strategy, as there were never any well-defined trends to follow. First, as DAA investors know, the strategy selects its investments from a list of just six asset classes, holding three at any one time. DAA can only be as good as the universe from which it draws. The three best performers from among the six classes averaged gains of only +1.4% in 2015. This was worse than during the last bear market in 2008, and far worse than during the deep bear market of 2000-2002. The reason this is important is because DAA is a trend-following system. There will always be losses during the year due to whipsaws. 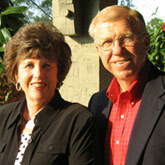 We rely on the stronger-performing classes to more than compensate for those losses, which they usually do. However, they failed to do that in 2015. A second factor contributing to DAA’s 2015 woes was that the performance of the three worst asset classes was significantly better than is normally the case. While it might seem that this would help, ironically, it tends to make things worse. Here’s why: Think of the six asset classes as being in a race. 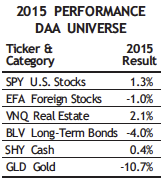 When there are clear winners and clear losers throughout the year, that’s a trend DAA can follow. But when the contestants are closely bunched, the three leaders change frequently. This trendless contest causes more whipsaws as we move from one leader to another to another. For example, during the 2000-2002 bear-market years, DAA averaged 4.7 switches per year. In 2008, there were only three switches. But last year, due to the close race between winners and losers, we switched asset classes seven times. All of this is to say DAA hit a perfect storm in 2015 where we not only had no major winners among our six asset classes, we also had no major losers. Could it happen again? Of course. But be encouraged by the fact this was only DAA’s second losing year out of the past 34. It’s natural to wonder if anything has fundamentally changed when an uncommon event — like DAA posting a calendar-year loss — occurs. Looking back to the only other time this happened, it’s striking how similar conditions were. That year, 1990, four of DAA’s six asset classes lost money. Stock returns were slightly negative (as opposed to 2015’s slightly positive), but the market action was quite similar: stocks rose early in the year, only to fall rather quickly in August and September (just like 2015) as Iraq invaded Kuwait. That decline quickly reversed, as did 2015’s stock market correction. Overall, 1990 was a relatively nondescript year, not the type you’d intuitively expect to throw a curve ball to DAA. But many of the conditions were similar to 2015, when a majority of the six asset classes either lost money or didn’t move much, and there was just enough volatility to keep DAA chasing the wrong asset classes throughout the year. It’s not fun when it happens, but thankfully it’s been a rare occurrence. After back-to-back-to-back great years in 2012-2014, SR’s negative volatility returned in 2015. The good news: three monthly gains of 8.9% or better! The bad news: 5 months with losses of at least 5%, including one ridiculous nine-day stretch during which our recommended SR fund fell 21.8%. Altogether, SR lost -9.7%. But to put that in perspective, even after 2015’s loss, SR’s three-year annualized return was still 30.9%. 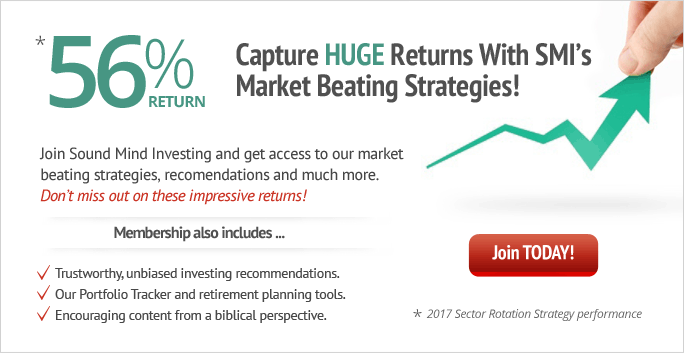 In other words, $10,000 invested in SR three years ago was still worth $22,429 even after last year’s losses. Translation: don’t ditch your SR allocation, but it’s probably not going to help your blood pressure to watch its performance every day. In theory, 50-40-10 is a great idea. But in a year like 2015, when DAA and SR both struggle, its overall performance isn’t going to be great. Stock Upgrading helped out, but couldn’t prevent a loss of -4.1% for the overall portfolio. It’s worth noting this is only the third loss in the past 10 years for this approach, with the other two being a minimal -1.8% drop in 2011 and the other being a very reasonable -18.0% loss in 2008 (when the broad stock market fell more than 37%). That’s a risk/reward trade-off that works for most investors.